Can you believe it's April? Although it doesn't look or feel it outside, we are in full Spring mode inside. For me, Spring is the time for cleaning out closets, switching out bedding and deciding what to do with it all. Keep, Donate or Toss - that is the million dollar question. 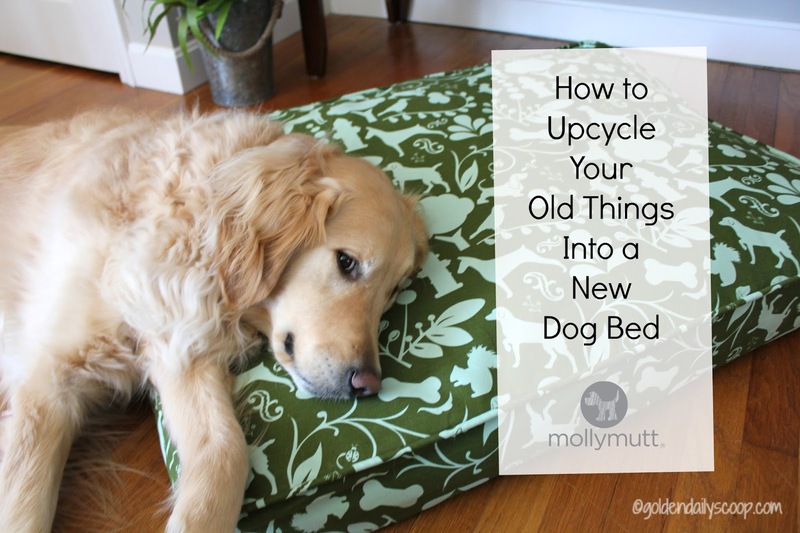 Today I am hear to answer that question - upcycle it into a new dog bed! 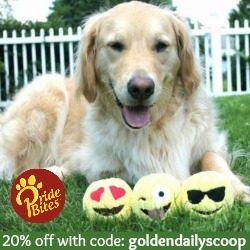 Disclosure: Golden Daily Scoop was sent a Molly Mutt duvet, stuff sack and pillow pack for review purposes. All opinions expressed are our own. Molly Mutt is not responsible for the contents of this post. You're probably wondering how in the world can you turn your unwanted clothes, blankets, bedding etc. into a bed for your dog - it's quite simple! The Molly Mutt® bed is built on the concept of 'stuff. sniff. snooze.' They sell beautiful, highly durable and machine washable duvet covers that dog owners can stuff with their unwanted things from around their home. These things create an inner 'mattress' for the bed made of clothes and things that smell like the dog's owners. Thus making a secure and comfy place for them to nap. Who said duvet covers are only for people? 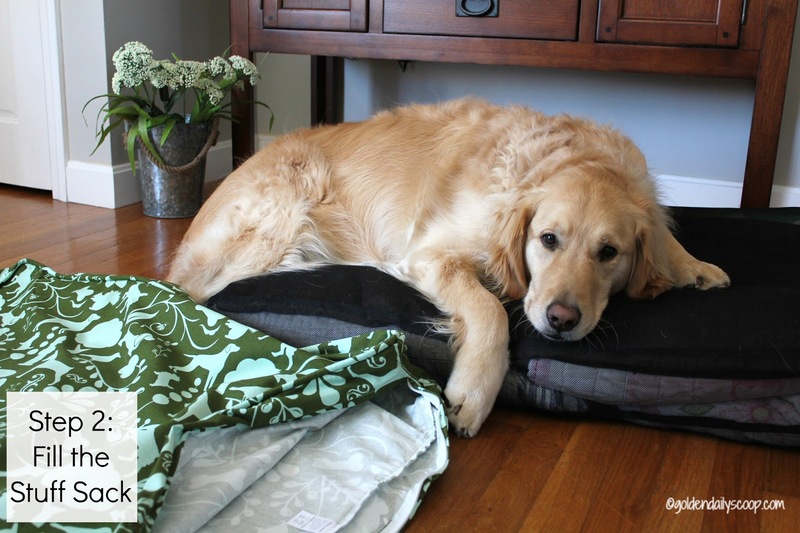 Molly Mutt has come up with a brilliant concept of a duvet cover for your dog's bed, stuffed with your upcycled things you no longer want or need. Step 1: Gather your upcycled belongings. I used my daughter's old bedding sets that I don't want to part with but they were just taking up space in a closet. The Goldens spend time in the girl's bedrooms so I know they would approve! Bonus: Your dog knows and likes your scent, so using your old belongings will bring comfort and familiarity to their new bed. Step 2: Fill the stuff sack. 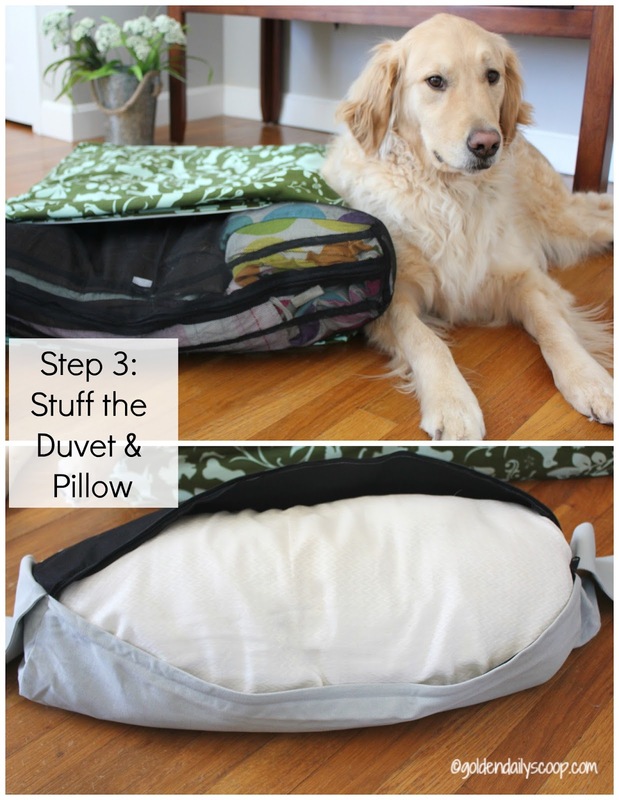 You can stuff the liner to the level of comfort and cushion that you think your dog would desire. Some dogs prefer soft, squishy beds while others prefer a more firm surface. By the look on Bruin, I think it's stuffed just right! Step 3: Stuff the duvet cover and pillow pack. This may take a little muscle and moral support from your dog but trust me it will be worth it when your done. I stuffed the pillow sack with a large pillow and it fit perfectly. This bed fits Bruin like a glove. I barely had the bed zipped and pillow attached before he was ready to settle in for a nice nap. I just LOVE the print! It's called "amarillo by morning", the color is olive green with light blue dogs, squirrels, bones and hydrants. The print is adorable and matches my Golden's personalities perfectly. This particular dog bed is a size medium/large and measures 27"x 36" x 5". Bruin is a big boy, weighing 89lbs and he fits comfortably on it. The pillow pack is called "fade into me" and the color is a light grey. Both the pillow and the bed nicely compliment my decor. Miley patiently waited to try out the new bed. As you can see it didn't take her long to get acquainted with it, I love how she went right in for a snuggle with the pillow! Next was Maggie's turn. Out of the three dogs, Maggie is the dog bed connoisseur. She would much prefer to lay on her bed than the floor, I can see her taking a lot of naps on this bed. Looks like this is the new bed of choice for all three Goldens. I wonder how long this "sharing" will last. LOL! 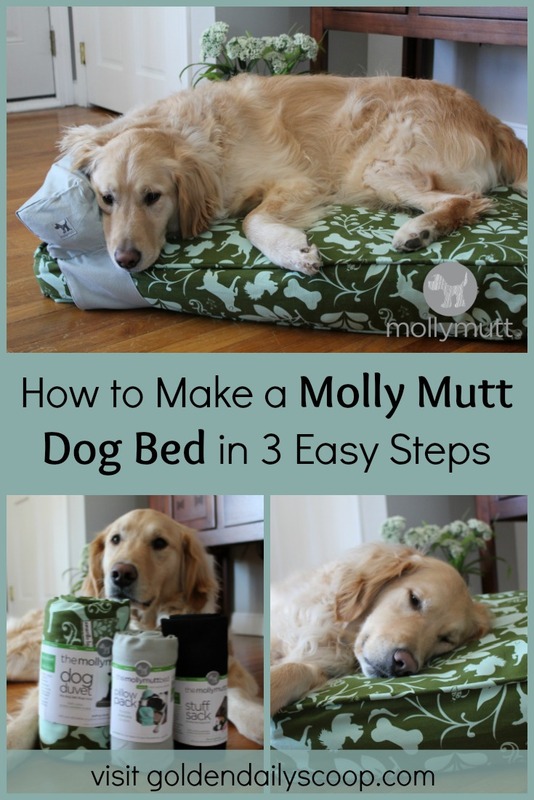 Now that we know how to make a Molly Mutt bed and can see how much the dogs love it, let me tell you why I love the bed. 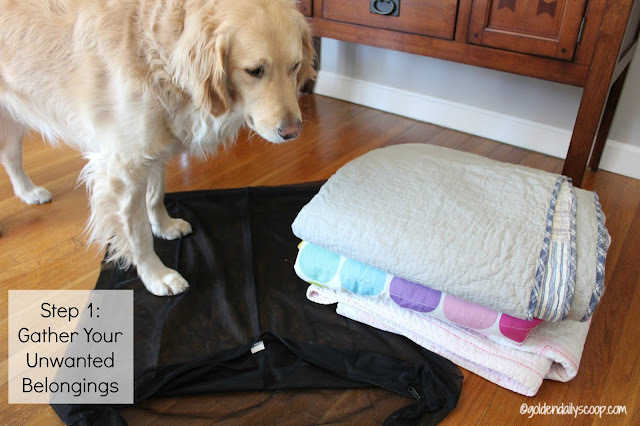 Easy to Clean: One of the key elements of the Molly Mutt bed is that everything is washable, 100% machine washable both outside and inside the bed. This includes, the duvet cover, the pillow pack and the stuff sack - filling and all. No need to re-stuff every time you wash it! Easy peasy! The duvet cover is also pre-shrunk so no surprises when you take it out of the dryer! Interchangeable: You can easily zip off a dirty cover and zip on a clean one. I like the idea of having an extra duvet cover on hand for times when you don't need to wash the whole bed but you'd just like a fresh cover. They also offer an all-natural deodorizing spray called "fresh" if you don't have an additional cover. 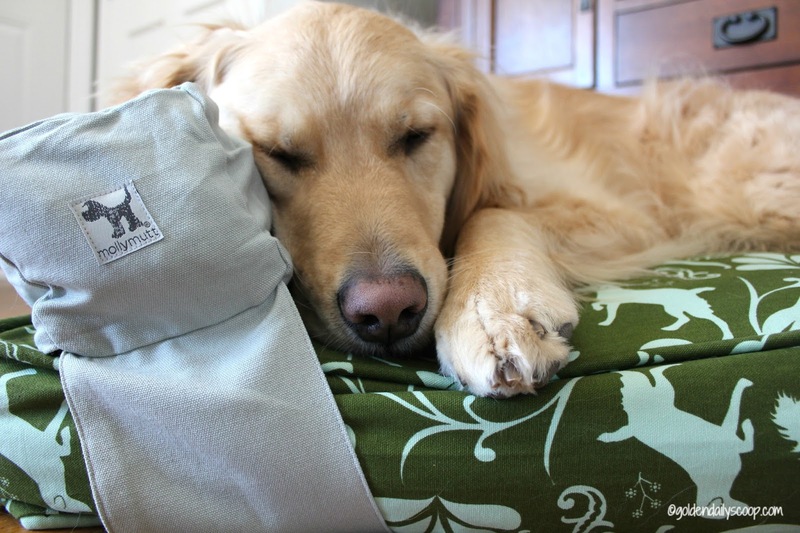 Durability: The Molly Mutt dog beds are made of 100% cotton canvas - very durable. Let me be clear, dog beds in our house aren't just used for napping. They are also used for chewing bones, de-stuffing toys, enjoying a treat and more times than not is where a fun game of bitey-face starts. This bed has stood up to all of those. Eco-Friendly: Being good to the planet is something that is important to me. I love how you can keep your old belongings out of the landfill by upcycling them. To me, tossing things in the trash is like throwing money out the window. 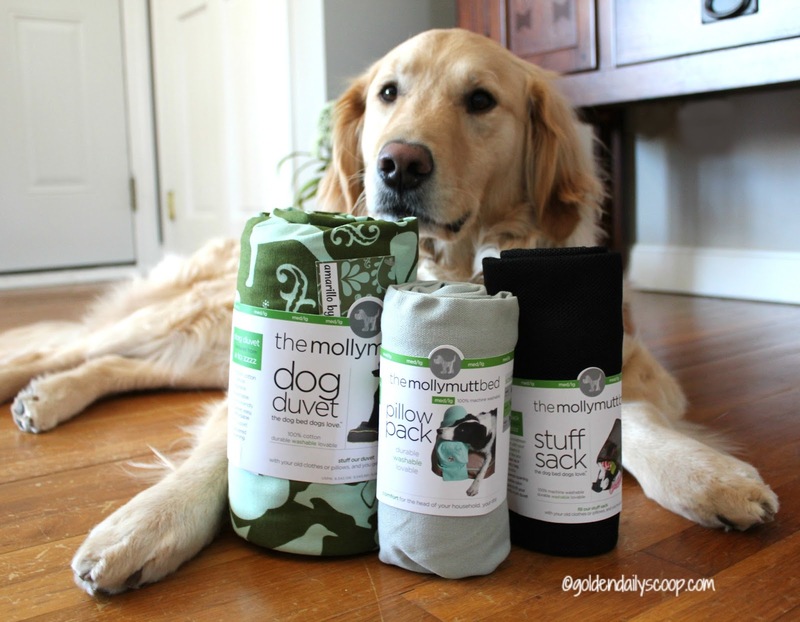 Molly Mutt is the leader in the industry with duvet covers that eliminate 100% of the energy and greenhouse gas emissions associated with other bedding. Stylish: Molly Mutt has proved that you don't have to sacrifice style to be green. I like to call Molly Mutt, "the Lilly Pulitzer" of the dog world. There are so many beautiful colors and patterns to choose from. 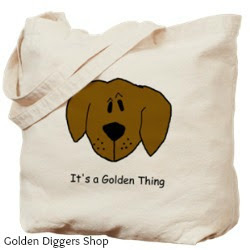 Their designs are affordable and versatile to go with your dog's personality and home decor. 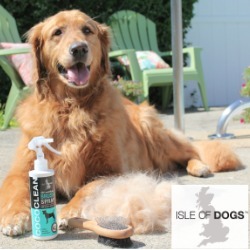 To sum it all up, Molly Mutt really understands that we love our pets, our style and the environment. I appreciate that they combine all three together to provide pet owners environmentally responsible accessories for our pets. 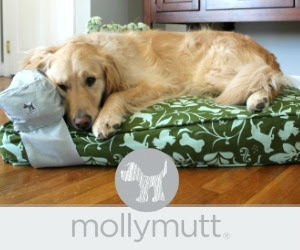 Choosing a Molly Mutt bed is super easy and fun! The Pillow Pack Kit includes everything you need, a duvet, stuff sack and pillow pack. The best part? You can mix & match two patterns to fit your style and taste! exclusive offers and new pattern announcements. 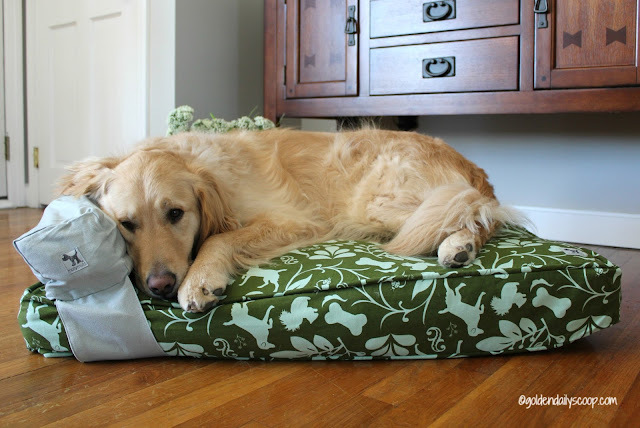 Would you upcycle your belongings into a Molly Mutt bed for your dog? That is absolutely adorable. I really love that there's a pillow. We don't have room for Honey's dog bed on the boat so she shares the v-berth with us. And she always rests her head on the corner of one of her pillows. Molly Mutt is smart to realize how many dogs like their own head pillow. Thank you! 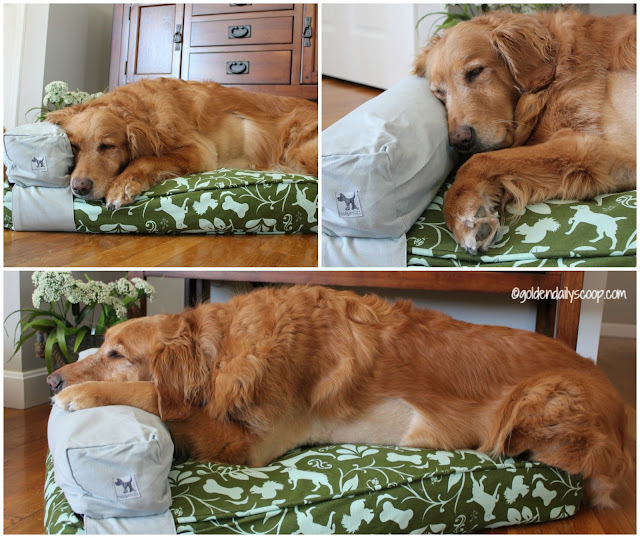 I honestly didn't think the Goldens would take to the pillow as much as they have, they love it! 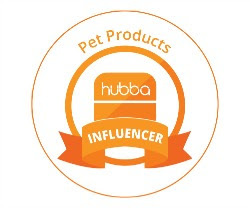 I just love how Molly Mutt designs their products with the environment, pet owners and pets in mind! We have the same pattern as you and love it! It's so pretty. I love that this is easy to keep clean, and is such a good way to use old towels, linens, and clothes in a useful way. This is a great idea, and the scented items are a bonus for our pet buddies. I really love the look of this bed, too. We absolutely love Molly Mutt! Not only are you recycling, but the fabrics are beautiful and the quality is superb! Oh how cool! I really need to do this for Lyla's bed! I love that pillow so much! Thank you for the info I am going to save this past and look these things up later today! I love all the patterns they have. I think we have the one with constellations on it. All of our old blankets are stuffed in there! That is such a great bed! Lexy would love one. It's a great way to re-use old bedding. What a neat idea! I love when people come up with cool ways to reuse old things. Especially when they're as cute and stylish as these beds! The photos of your pups on the bed are way too cute too! Great idea; I love the final result? This is such a great way to reuse your old bedding. Nice idea. I also can appreciate that the product is ecofriendly and comes with different patterns. Stylish and sensible. Perfect combo. This is such a cool product concept. I love that the stuffing items smell like the owners, my dog Phoebe loves to be comforted by my scent. She's always napping right next to my shoes, LOL! Such a clever eco-friendly up-cycling idea. Win win as you store old stuff and your dog gets to have a familiar smell which I am sure if very appealing. Kilo does not tend to use dog beds except in his crate as he prefers knees, the couches, and the human beds. He is a spoilt cuddly little lap pug. They look so nice and he does shed so I could see my husband trying to convince him. This would have been so perfect for my lab and lab mix Cookie and Isabelle. 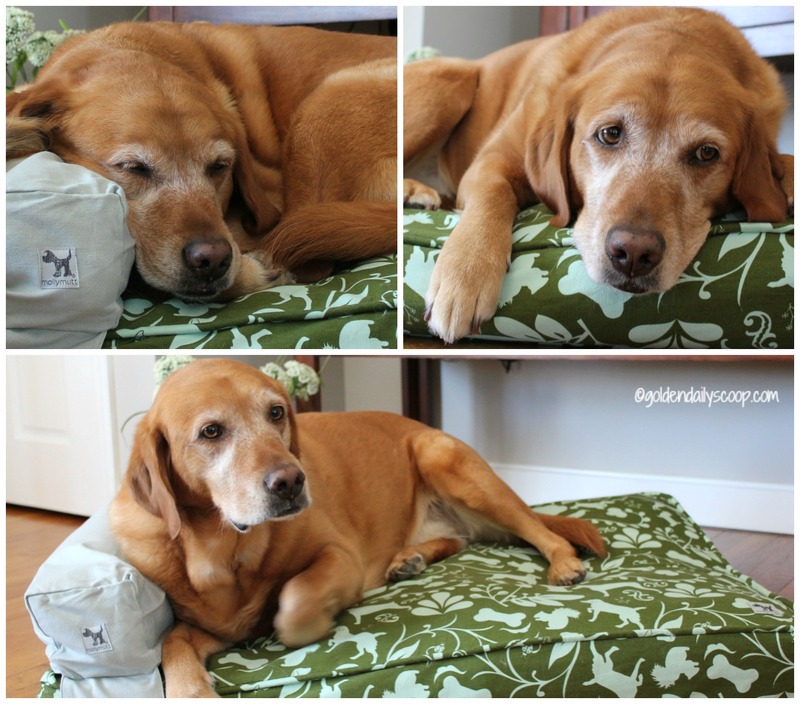 Two of my dogs and my cat love our Molly Mutt bed! The third dog prefers the floor. I love how it looks as well as how easy it is to keep clean. I don't have the stuff sack, but I wish I did. Easy Clean and Eco-Friendly are some of my favourite words. This is an inspired idea for dogs (and I suspect cats would LOVE all that space!!!). Miley is the most comfortable looking model and cute too. Someone recently suggested that I put a dog bed in the car to see if that would help with alleviating Piper's fear of the car. I am thinking that a Molly Mutt duvet cover stuffed with items that smell like me and the house might be a great idea! I especially love that it would an easy to clean option. We have a Molly Mutt duvet bed and the cover. We travel with it and use a pillow at the hotels to puff it out for Dexter. 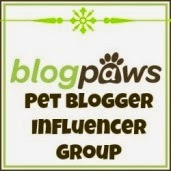 I love the upcycle notion to reduce carbon pawprints! What a great idea! Really appreciate the recycle concept. I see they have a size that works for cats, too. Many of the cats I sit for like having their people's scent near, it makes them comfortable when their people are gone. Thanks for sharing this! I love the bed has a pillow!! 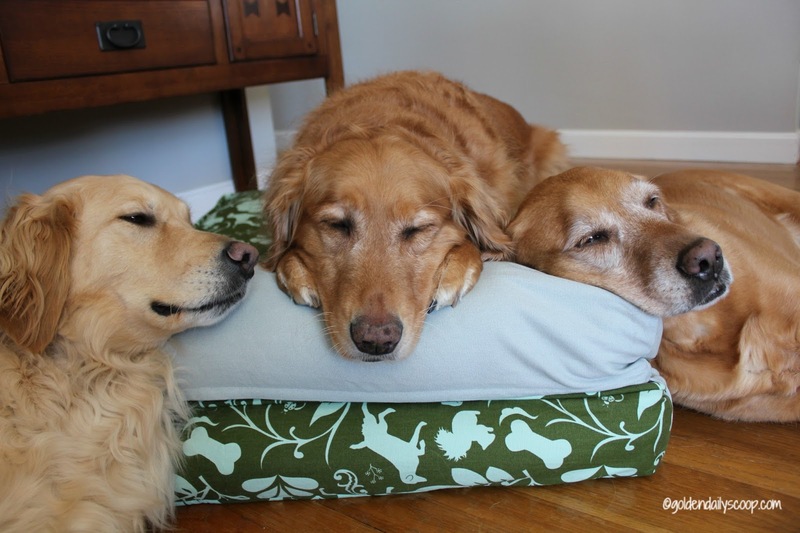 This looks like a really comfortable bed and the goldens seem to prefer it!